Please note these nail wraps are on a semi-sheer pearlescent base. Let these nail wraps whisk you down memory lane. Whether that path takes you left or right, these colorful dots get even more delectable over time. Reminiscent of those scrumptious little candy buttons, your new Nerd Manicure will look virtually good enough to eat. 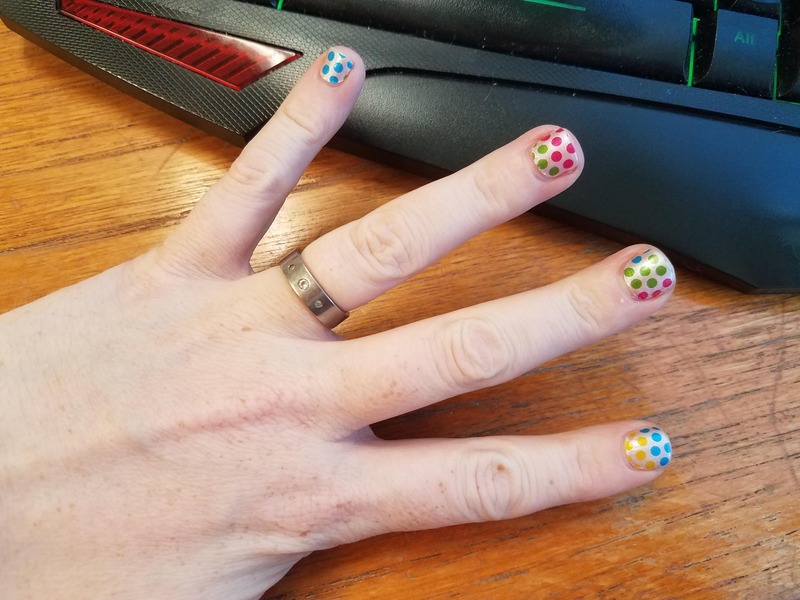 So good, in fact, they’ll have you declaring, “Moar Dots now!” Let’s not forget phase 2, these nail wraps also feature an eye-catching sheer pearl finish. Whelp! We’re certainly sold! Grab your favorite treat today with these irresistible wraps! My daughter in law loved the fun nail wraps! 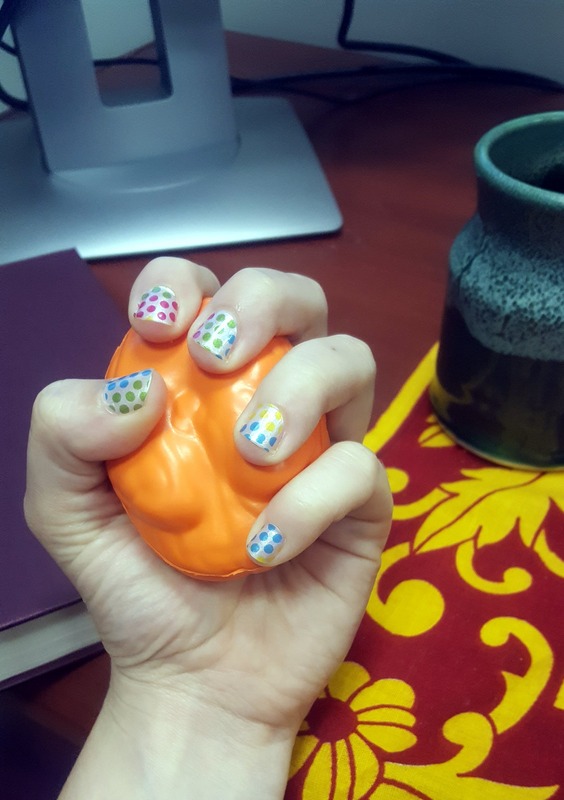 Already gotten several compliments on Moar Dots! Easy to use and they look super cute & not obviously nerdy. Hi Allison, True they are not so obviously nerdy but your manicure looks obviously STELLAR! Thank you for the pictures and review. Wow. we love all the things! I love this pattern!!! They're so cute. Bravo! Hi Holli, Thanks! We think so too. The dots are so cute and yummy! We highly recommend trying them with glitter too! These polka-dots are so happy! I love the cheerful colors, they always make me smile when I wear them. Hiya Julie, Yay! If they make you happy then we have leveled up ! They remind us of those little candy dots on paper. Yummy (As long as you don't eat the paper part) :) Thanks for the sweet review!